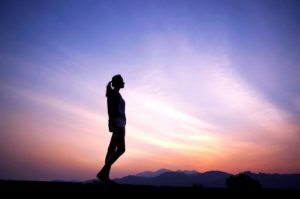 With the exposure of the New Evolved Chakras – the New Spiritual Chakras – there has also been the disclosure of their associated subtle body anatomy. These Chakras can be of real and lasting benefit to those Souls who are here to make a difference; who have chosen to be here at this time, at this Planet, as this Homo Sapiens Sapiens species moving into Homo Luminous! The New Chakras support our Light Body. The New Systems support our current journey, and I have not come across them anywhere else. But they exist! 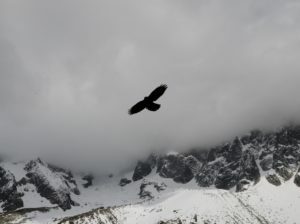 Spiritual healers, Psychic experts, and Medical Intuitives, as well as the many students and clients I have worked with on these New Chakras, have attested to their existence once they had been identified. And also the positive changes since becoming acquainted with them. 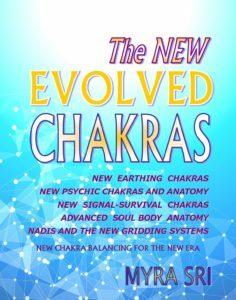 The New Earthing Chakras (first to be revealed), the New Psychic Chakras and Body (the New Sensory Psychic Chakras) and the New Signal/ Survival Chakras. A brief description of each can be found by clicking on each link. 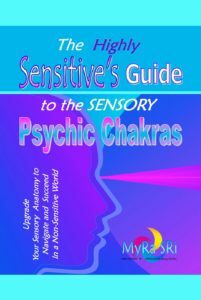 The New Evolved Chakras Book has been released, and the new ‘The Highly Sensitives Guide to the Sensory Psychic Chakras’ released in May 2017. These can be ordered directly from admin@myrasri.com and will also be available at Amazon and good online bookstores soon. Write me if you experience any difficulty in accessing them.